Need to replace a cracked countertop? Tired of the cheap laminate look? 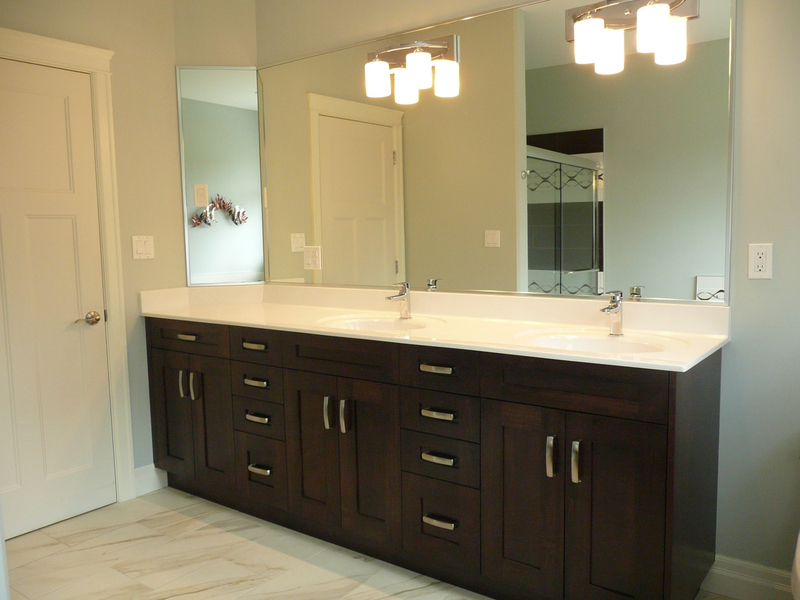 Upgrade to a cultured marble sink or vanity top from Precision Marble. Why put up with a stained sink or worn out countertop? 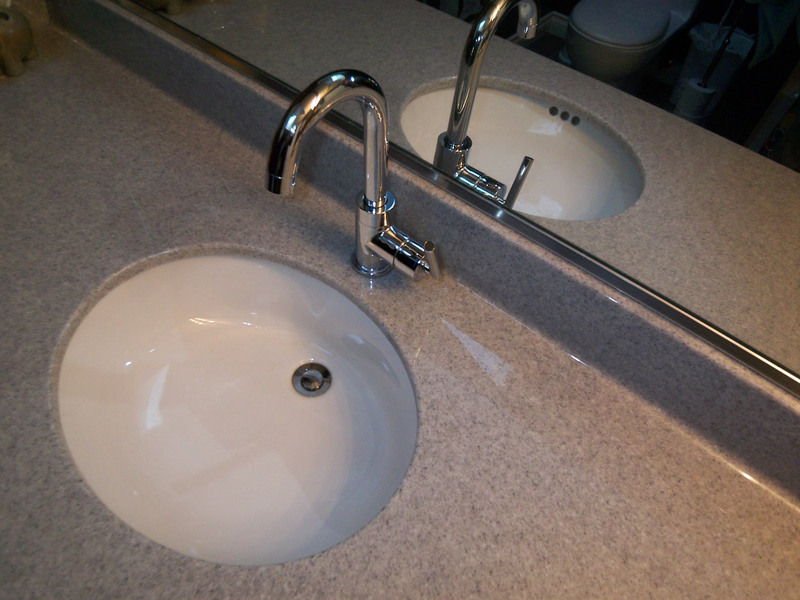 If you’re ready to refresh your bathroom, take a look at a one piece cultured marble sink or cultured granite countertop from Precision Marble. You get a sleek, stone-like surface that requires minimal care for a fraction of the cost. No sealing or polishing required – ever. 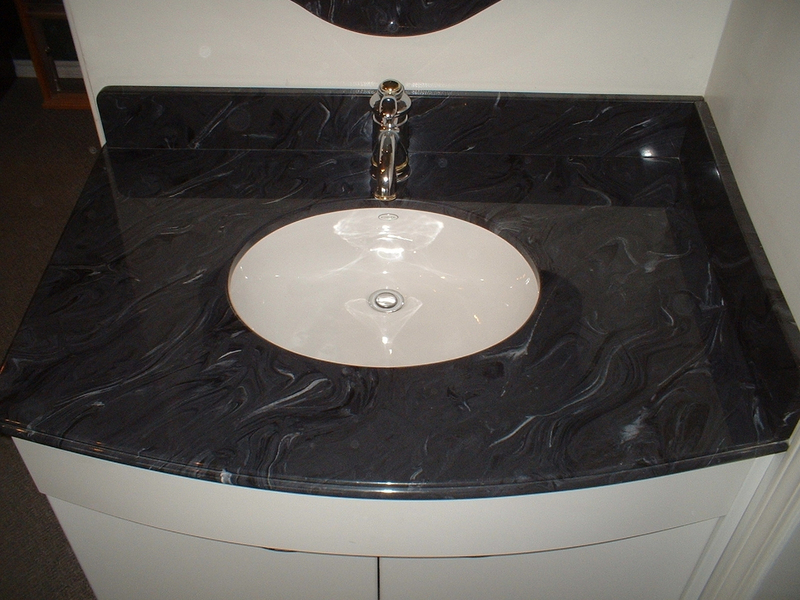 Like all cultured marble, our sinks and vanity tops are a composite of natural marble (granite, onyx and recycled glass also available) and polyester resin. We then apply an extra thick gel coat that creates a smooth, non-porous surface. The result is a durable, long-lasting countertop that emulates the timeless elegance of natural stone without any of the maintenance hassles. Our cultured marble sink and vanity tops can be paired with a shower or bathtub to create a matching look and feel across your whole bathroom. And because we build each sink and counter top from a custom mold right here in our Victoria factory, we can customize any size, style – including vessels and undermounts — or colour in half the time you’d get from a box store or plumbing supply outlet. All sink styles can be customized to fit and maximize your bathroom space. If you need help with designing or sizing your sink or countertop, we’ll come and do the measurements. Installation is included in the cost, and can be done in as little as 4 hours. Everything is backed by a lifetime warranty, so you never have to worry about repairs or replacement again.